Decades ago, the distinguished Lincoln biographer David Herbert Donald coined the phrase “getting right with Lincoln” to describe the impulse people feel to appropriate Lincoln for their own political agendas. Anyone who has watched Barack Obama, who as a senator wrote an essay for Time magazine entitled “What I See in Lincoln’s Eyes” and swore the oath of office as president on Lincoln’s Bible, will be familiar with the phenomenon. Democrats like to claim Lincoln as, in effect, the first Big Government liberal, while Republicans tout him as the founder of their party. But the reflex identified by Donald isn’t universally felt. A portion of the Right has always hated Old Abe. It blames him for wielding dictatorial powers in an unnecessary war against the Confederacy and creating the predicate for the modern welfare state, among sundry other offenses against the constitutional order and liberty. The conservative case against Lincoln is not only tendentious and wrong, it puts the Right crosswise with a friend. As I argue in my new book, Lincoln Unbound, Abraham Lincoln was perhaps the foremost proponent of opportunity in all of American history. His economics of dynamism and change and his gospel of discipline and self-improvement are particularly important to a country that has been stagnating economically and suffering from a social breakdown that is limiting economic mobility. No 19th-century figure can be an exact match for either of our contemporary competing political ideologies, but Lincoln the paladin of individual initiative, the worshiper of the Founding Fathers, and the advocate of self-control is more naturally a fellow traveler with today’s conservatives than with progressives. In Lincoln Unbound, I make the positive case for Lincoln, but here I want to act as a counsel for the defense. The debate over Lincoln on the Right is so important because it can be seen, in part, as a proxy for the larger argument over whether conservatism should read itself out of the American mainstream or — in this hour of its discontent — dedicate itself to a Lincolnian program of opportunity and uplift consistent with its limited-government principles. A conservatism that rejects Lincoln is a conservatism that wants to confine itself to an irritable irrelevance to 21st-century America and neglect what should be the great project of reviving it as a country of aspiration. Calhoun didn’t want to preserve the constitutional order, but to change it to afford even more protections for the slave states. Historian Richard Hofstadter called him “The Marx of the Master Class.” He disdained the Federalist Papers. Believing that the Constitution represented only a loose “compact” between the states, he thought the country had gone wrong from the very first Congress, which had set the country on a nationalist path “from which it has never yet recovered.” He wanted to substitute his own constitutional scheme — involving nullification by the states under his doctrine of “concurrent majority” — for that of the Founders. #page#There is nothing in the text of the Constitution to suggest that it is a treaty among independent nations, and the right to secession shows up nowhere. You don’t need to embrace Lincoln’s robust nationalism — he thought the Union had existed prior to the Constitution and the states, and argued that “perpetuity is implied, if not expressed, in the fundamental law of all national governments” — to reject nullification and secession. You need only go to the Father of the Constitution, James Madison. The friends of secession aren’t eager to invoke the right to revolution, though. For one thing, when a revolution fails, you hang. For another, the Declaration says a revolution shouldn’t be undertaken “for light and transient causes,” but only when a people have suffered “a long train of abuses and usurpations.” What was the train in 1860 and 1861? Seven southern states left the Union before Lincoln was inaugurated. The South had dominated the federal government for decades. Abuses and usurpations? It’s more like lose an election and go home. As Thomas Krannawitter points out, the Founders thought revolution was justified in the case of a violation of natural rights. The Confederates, in contrast, wanted to wage a revolution to ensure no interference with their violation of the natural rights of slaves. This gets to another element of the anti-Lincoln case, which involves denying or downplaying the role of slavery in secession and the Civil War. DiLorenzo says, for example, that Lincoln’s cause was “centralized government and the pursuit of empire.” Walter Williams addressed the issue in a column aptly titled “The Civil War Wasn’t about Slavery.” Charles Adams, author of When in the Course of Human Events: Arguing the Case for Southern Secession, pins the war on “economic and imperialistic forces behind a rather flimsy façade of freeing slaves.” The pro-secessionists typically fasten on the tariff as the cause of all the unpleasantness. This is laughable. The tariff wasn’t anything new, and in fact was the main source of revenue for the federal government. Tariff rates bumped up and down. When South Carolina got the ball rolling on secession in December 1860, the tariff was at its lowest level since 1816, thanks to southern and western success at dropping rates in 1857. The Morrill tariff, steeply hiking rates and supported by Lincoln, passed the House in May 1860. But it didn’t pass the Senate until early the next year, its cause aided by the departure of southern senators who were no longer there to vote against the measure that some of their chronologically challenged latter-day apologists would hold responsible for their exit. #page#Even DiLorenzo concedes that slavery was the initial cause of secession, but he does it almost by way of an aside, so that he can keep his focus on the tariff and economics. But slavery was the South’s prism for everything. Some southerners worried that if the federal government could impose a tariff, it could interfere with slavery. The South’s commitment to federalism was highly situational. It insisted on a federal Fugitive Slave Act to tighten the screws on anyone in the northern states who was insufficiently zealous about returning runaways. Southern Democrats walked out of the 1860 Democratic convention when the party couldn’t forge a consensus on a platform demanding federal protection for slavery in the territories. Lincoln’s forceful response to the dissolution of his country is another count against him for his critics. They, of course, call him a “dictator,” among other choice names. Economist Paul Craig Roberts called him “an American Pol Pot, except worse.” For DiLorenzo, he was “a glutton for tyranny.” These Lincoln-haters are real sticklers for the Constitution yet have no use for the admonition in Article II that the president take care that the laws be faithfully executed. They come up with fanciful alternatives to military conflict. Ron Paul wonders why Lincoln didn’t forestall the war by simply buying up and freeing the slaves. With his usual sense of realism, Paul ignores the fact that Lincoln repeatedly advanced schemes for just such a compensated emancipation. Lincoln argued for these proposals as “the cheapest and most humane way to end the war.” But except in the District of Columbia, they went precisely . . . nowhere. The border states weren’t selling, let alone the South. Even little Delaware, which was selected as a test case because in 1860 it had only 587 slaveholders out of a white population of 90,500, couldn’t be persuaded to cash out of slavery. One plan proposed by Lincoln would have paid $400 or so per slave and achieved full abolition by 1893. A version of the scheme failed in the state’s legislature. The bottom line is that the South created a national emergency, and, ever since, its apologists have excoriated Lincoln for responding with emergency powers. After the Confederacy fired on Fort Sumter in April 1861, Lincoln replied with every lever at his disposal — and then some. He called out the militia. He blockaded southern ports. He called for volunteers to increase the size of the regular army and expanded the navy. He directed that $2 million be forwarded to private citizens in New York for expenditures related to the national defense (he suspected the loyalty of the federal bureaucracy). He did all of this without consulting Congress, which wasn’t in session. Lincoln, who wanted to control the early response to the war, didn’t call it back until July 4. Most controversial is Lincoln’s suspension of habeas corpus. He first suspended it between Washington and Philadelphia in April 1861 after troops heading to the undefended capital from the north were attacked by a mob in Baltimore, after which Baltimore railroad bridges and telegraph lines were cut. This was a genuine crisis of a government beset by enemies on all sides. Article I, section 9 of the Constitution says, “The Privilege of the Writ of Habeas Corpus shall not be suspended, unless when in Cases of Rebellion or Invasion the public Safety may require it.” The circumstances certainly justified suspension, but the placement of this provision in Article I suggests it is a congressional power. Congress rendered the question moot in 1863 when it passed a law saying the president had the power to suspend. As the suspension covered the entire country, the military arrests and trials brought inevitable overreaching and abuses. They earned Lincoln a rebuke from the Supreme Court after the war, when it ruled against military trials where civilian courts were still open. Some high-profile arrests, most famously of the anti-war Democrat Clement Vallandigham of Ohio — in 1863, without Lincoln’s prior knowledge — have proven embarrassments for the ages. But in his careful, Pulitzer Prize–winning study of civil liberties during the war, Mark Neely gives a basically exculpatory though hardly uncritical verdict on the Lincoln record. Lincoln wasn’t a dictator; he was a wartime president operating at the outer limits of his power in dire circumstances when the existence of the country was at risk, and — inevitably — he made mistakes. Lincoln didn’t try to put off elections, including his own in 1864, which he was convinced for a long stretch of time that he would lose. Yet another favorite count against Lincoln on the Right is that he was the midwife for the birth of the modern welfare state — a false claim also made by progressives bent on appropriating him for their own purposes. The war necessarily entailed the growth and centralization of the state, but this hardly makes Lincoln a forerunner to FDR or LBJ. The income tax required to fund the war, instituted in 1861 and soon made into a progressive tax with higher rates for the wealthy, was a temporary measure eliminated in 1872. Wars are expensive. In 1860, the federal budget was well under $100 million. By the end of the war, it was more than $1 billion. But the budget dropped back down to $300 million, excluding payments on the debt, within five years of the end of the war. To see in any of this the makings of the modern welfare state requires a leap of imagination. In the midst of the war, the State Department had all of 33 employees. The famous instances of government activism not directly related to the war — the subsidies to railroads, the Homestead Act — were a far cry from the massive transfer programs instituted in the 20th century. The railroads got land and loan guarantees but were a genuinely transformational technology often, though not always, providing an economic benefit. The Homestead Act, as Lincoln historian Allen Guelzo argues, can be viewed as a gigantic privatization of public lands, which were sold off at a cut rate to people willing to improve their plots. In the North during the war, historian Richard Franklin Bensel points out, the industrial and agricultural sectors ran free of government controls. The labor force, although tapped for manpower for the war, was relatively unmolested. The government became entangled with the financial system, but that system was also becoming more modern, sophisticated, and free of European influence. Given its vitality and wealth, the North could wage the war without subjecting itself to heavy-handed command-and-control policies. Compared with the overmatched Confederacy, it was a laissez-faire haven. It was, rather, the southern political economy that came to depend most heavily on bureaucratic control and government expropriation, as Bensel notes. An extensive conscription law effectively subjected the entire labor force to centralized direction. The government had the discretionary power to exempt certain occupations and to detail men to civic duties deemed necessary; private concerns, therefore, depended on the government for workers. Despite a constitutional prohibition, the government subsidized the construction of railroads and by the end of the war assumed control of them and, by extension, the supply of raw materials. The Confederacy “impressed” property from manufacturers, farmers, and railroads to supply the military. The system led to wide-ranging price controls. One Confederate congressman complained of the government agents who were “as thick as locusts in Egypt.” Under pressure from the Union blockade, the government eventually prohibited the importation of luxuries and took control of a vast array of exports. It imposed a more progressive income tax than the North did. In short, the Confederates pioneered a program of war socialism back when Woodrow Wilson — the progressive president who would run the country’s economy on a similar basis during World War I — was still in knee-pants. #page#Lincoln’s economics are hardly invulnerable to criticism. He was indeed a government activist, though at a time when government was different from what it is today — vastly less extensive and obstructive, with the wealth transfers of the modern welfare state nowhere in sight. Throughout his career he supported internal improvements (i.e., transportation projects), a protective tariff, and sound, duly regulated banking. These policies were associated with their share of waste and corruption. On the other hand, wherever canals and railroads touched, they brought the competitive pressure of the market with them; the tariff was a support to the growth of industry; the banks produced a reliable paper currency necessary for a cash economy. They all tended to create a vibrant, diverse economy open to men of various talents. Here is where Lincoln is guilty as charged: The agrarians are right that he sought to end the simpler, agricultural America in favor of a modern commercial and industrial economy. Then there is William F. Buckley Jr., who didn’t always agree with his friend Frank Meyer. Buckley wrote a letter to the editor dissenting from one of Meyer’s anti-Lincoln blasts in the 1960s. “Some conservatives have a Thing on Lincoln, including, unfortunately, my esteemed colleague Mr. Frank Meyer.” Buckley especially regretted the charge that Lincoln was “anti-humanitarian”: “It seems to me that this is worse than mere tendentious ideological revisionism. It comes close to blasphemy.” So many decades later, tendentious revisionism and blasphemy are still favorite tools of the anti-Lincoln Right. We should reject them now, as Buckley did then, and re-discover the Lincoln who told the 166th Ohio regiment during the war that it was “through this free government” that they had “an open field and fair chance for [their] industry, enterprise, and intelligence,” and “equal privileges in the race of life, with all its desirable human aspirations.” He concluded, “The nation is worth fighting for, to secure such an inestimable jewel.” That jewel still needs to be secured, and it is still worth fighting for. 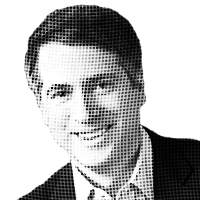 – Rich Lowry is editor of National Review. Parts of this essay are drawn from his new book Lincoln Unbound: How an Ambitious Young Railsplitter Saved the American Dream — and How We Can Do It Again, coming out this month from Broadside Books.